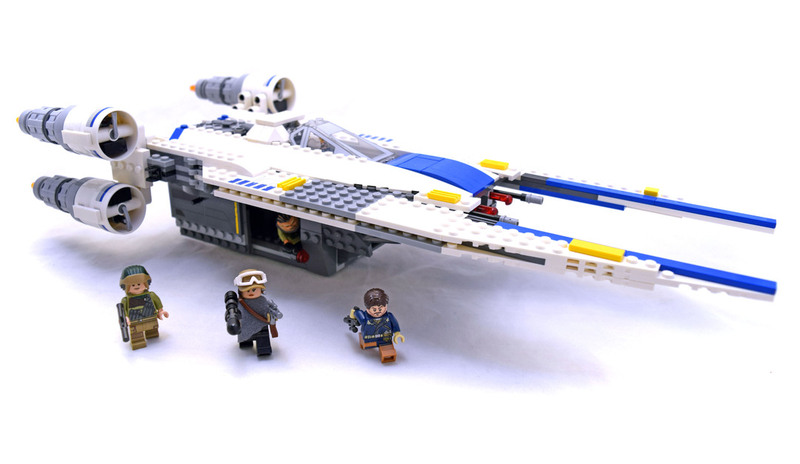 Rebel U-wing Fighter (LEGO #75155-1) is a good LEGO set from the Star Wars theme. The amazing U-Wing Fighter has all the details you would expect from an authentic Star Wars model, including 4 big engines, an opening minifigure cockpit with transparent lower observation window, opening side doors with pull-out stud shooters, dual spring-loaded shooters at the front, rear storage hold and huge wings that sweep back to create an even bigger model. Includes 5 minifigures: a U-wing Pilot, Bistan, Jyn Erso, Cassian Andor and a Rebel Trooper. Set comes with 5 minifigures and 659 pieces.